Carnival Cruise Line and superstar Carrie Underwood are teaming up to raise funds for Operation Homefront, a national nonprofit that helps build strong, stable and secure military families. The year-long Honor.Family.Fun. program will culminate on Nov. 4 with a private pierside concert for service men, women and their families. The special concert starring Underwood will mark the U.S. debut in New York City of the new Carnival Vista. “Military families represent a cornerstone of our country and we are honored by the opportunity to partner with Carrie and Operation Homefront to bring much needed awareness and aid to our troops and their loved ones,” said Christine Duffy, president of Carnival Cruise Line. “The partnership will bring to life many of the heartwarming stories our troops have to share while in turn bringing them some fun along the way,” Duffy said. The program will honor select military families chosen in partnership with Operation Homefront who will be treated to a personal meet-and-greet with Underwood before her concerts in 10 cities. A video series highlight the meetings along with individual stories from the families will be featured on the Carnival website. To help raise funds for Operation Homefront, people will have the opportunity to donate as well as to buy commemorative dog tags. The tags will be available for purchase at merchandise stands for all of Underwood’s new Storyteller Tour as well as on board Carnival ships. All proceeds will go to Operation Homefront. In coming weeks, Carnival also will launch a new shipboard military appreciation program. Each ship will host a special event on board to recognize active and retired military personnel and their families. 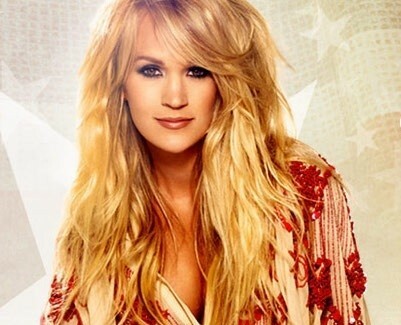 The event will kick off with a welcome video featuring Carrie Underwood. Carnival also has announced that Underwood will be joining the roster of Carnival LIVE! shipboard concerts in 2017.